A 385-hp 3.0L V 6 biturbo engine features numerous AMG® enhancements for instant response. Increased turbo boost puts its 384 lb-ft of torque on tap at just 2,500 rpm, for a 0-60 time of just 4.6 seconds. Rapid-multispark ignition and high-pressure Direct Injection act with millisecond speed and molecular precision. Beneath its red engine cover, a lightweight diecast-alloy block, variable valve timing and reduced friction further raise efficiency and performance. The cylinder walls of the diecast aluminum block are created in an AMG®-patented process that benefits performance, efficiency and durability. NANOSLIDE(R) technology uses a twin-wire arc spray to coat the bores with an ultrahard layer that's honed to an ultralow-friction, mirror-like finish. Without the added weight of cylinder liners, the bores and lightweight forged pistons are matched with even greater dimensional precision, for more immediate and consistent power over a longer service life. AMG® has developed a version of 4MATIC®(R) that obliterates every notion concerning the performance potential of all-wheel drive. A 31:69 base front/rear torque split assures an ideal balance of power delivery under hard acceleration and coming out of corners. In every driving condition, AMG® Performance 4MATIC® enhances grip and acceleration while preserving agility and driving fun. From its diamond-block grille and new LED headlamps to its wraparound LED taillamps, the C-Class Cabriolet is a summit of style and sportiness that's yours to enjoy in any season and every setting. Top up, its shape is taut and tailored. Top down, the harmony between cockpit and coachwork is undeniable, with a satin chrome beltline wrapping around the cabin. 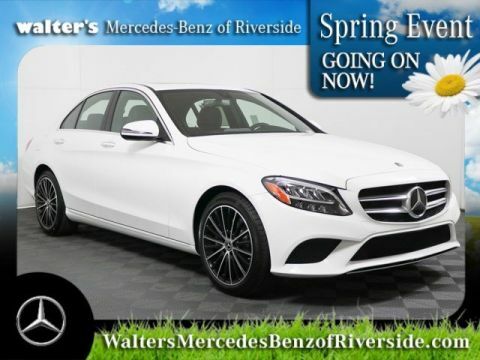 From style to sumptuousness, the C-Class extends the rich heritage of open-air Mercedes-Benz models that continue to set the standard today. The 3-layer acoustic soft top is meticulously tailored for long-lasting beauty and a remarkably quiet cabin. A bonded butyl layer fends off the elements while keeping the top-up profile free from visible bows. At speeds of up to 31 mph, the one-button power top takes less than 20 seconds to vanish under a sleek cover that elegantly unites the cabin and rear deck, while leaving ample trunk space. Four stylish colors are available. Among its generously sized windows is a heated rear window. 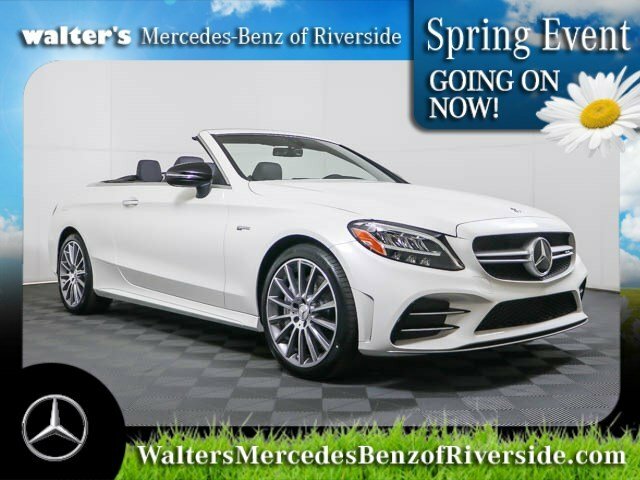 Engineered from the sky down as a convertible, the C-Class Cabriolet delivers more than breathtaking style and a breeze. Its aerodynamics are class-leading, enhancing stability and providing an uncannily quiet ride. The strategic use of ultrahigh-strength steel and aluminum team up for exceptional rigidity, solidity and durability without the burden of excessive weight. 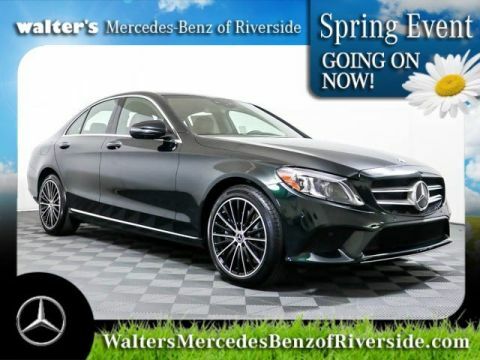 Aggressive sculpting of its deep front air dam, flared side sills and rear valence draw the eye to the 18-inch or optional 19-inch AMG®(R) wheels that are themselves drawn to the road. A satin chrome splitter underscores the front apron, expertly guiding airflow toward the shapely side sills. At the rear, a deep valence with a silver diffuser insert and a color-keyed lip spoiler manage the departing air and leave a lasting impression with other drivers. Substantially bolstered sport front seats are detailed with metal AMG® badges and exclusive stitching. Intuitive, seat-shaped controls help you and your front passenger find your ideal seating positions with 14-way power adjustment, including a power lumbar support. A memory system for each front seat recalls three stored seat positions with the touch of a button. The driver-seat memory also includes the power steering column and side mirror positions. Electrically heated front seats quickly take the chill out of even the coldest day. Three levels of warming automatically step down after several minutes to the lowest setting. Extend your top-down driving enjoyment further into a cool evening or later into the season with the AIRSCARF®(R) neck-level heating system. Tilt-adjustable vents beneath each front head restraint deliver warmed airflow to your neck, head and shoulders, like a virtual scarf. With individual 3-stage temperature controls and airflow automatically adjusted to your driving speed, AIRSCARF® means you don't have to put the top up just because the sun, or thermometer, has gone down. An exclusive Mercedes-Benz Cabriolet innovation, AIRCAP®(R) is an automatic virtual wind blocker. Utilizing a speed-sensitive airfoil that rises from the windshield header and an automatically height-adjusting see-through mesh screen between the rear head restraints, AIRCAP® helps keep top-down driving quiet and draft-free even at highway speeds. And unlike conventional wind deflectors, the rear seats remain fully usable. 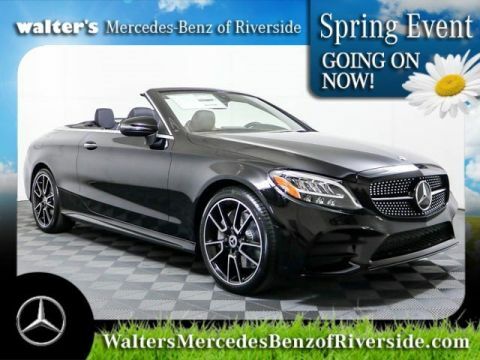 Meet your new 2019 Mercedes-Benz AMG® C 43 4MATIC® Cabriolet in person today at Walter's Mercedes-Benz of Riverside located at 3213 Adams St. Riverside, CA 92504.